Author/Opus: This is the 118th puzzle from our contributing puzzlemaster Serkan Yürekli. 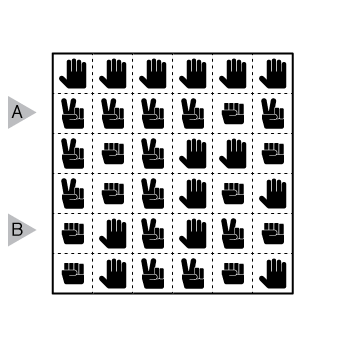 Rules: In this puzzle, the symbols represent a Rock Paper Scissors game (as expected: rock beats scissors, scissors beats paper, paper beats rock). 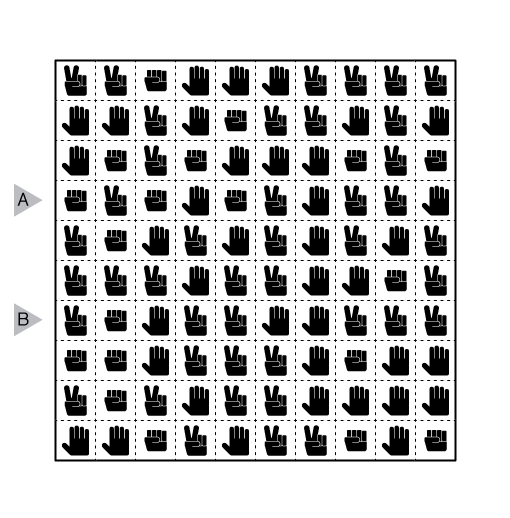 Divide the grid into connected regions so that every cell belongs to one region and each region contains exactly two kinds of symbols. In each region there must be only one “winning” symbol and two or more “losing” symbols. 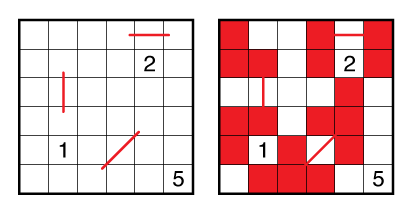 Answer String: (similar to Fillomino): For each cell in the marked rows, enter the area of the region it belongs to. Enter just the last digit for any two-digit number, and separate the rows by a comma. Author/Opus: This is the 117th puzzle from our contributing puzzlemaster Serkan Yürekli. 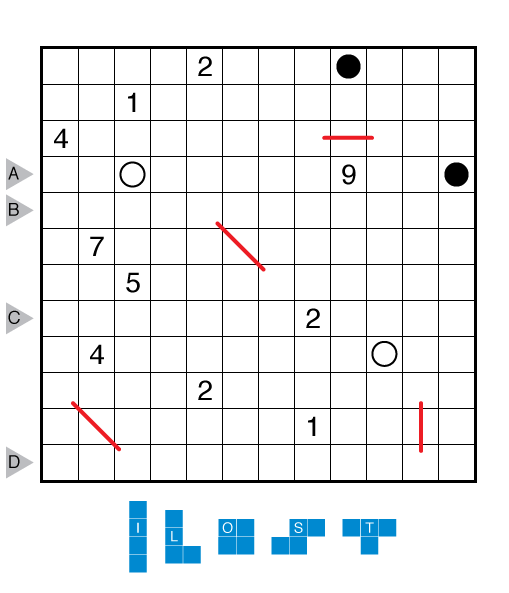 Author/Opus: This is the 116th puzzle from our contributing puzzlemaster Serkan Yürekli. Theme: Logical? Did you notice anything interesting in the solution? 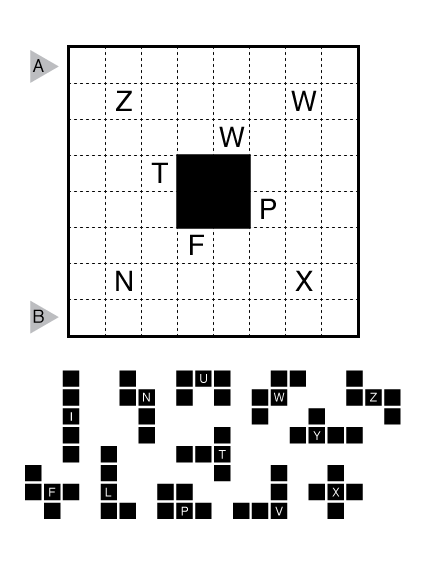 Author/Opus: This is the 30th puzzle from our contributing puzzlemaster Murat Can Tonta. Rules: Divide the grid into regions by adding diagonals into empty cells. Two diagonals cannot cross in one cell, and there can be no loose ends. 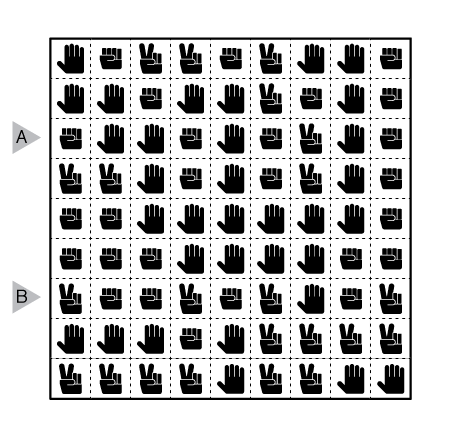 Each region must contain the numbers 1 to 4 exactly once (1 to 3 in the example). Answer String: Using ‘-’ for an empty cell and ‘\’ and ‘/’ for the two diagonals, enter the contents of each cell in the marked rows from left to right. Separating each row’s entry with a comma. The example has the answer “-\/\-,-/-/-”. 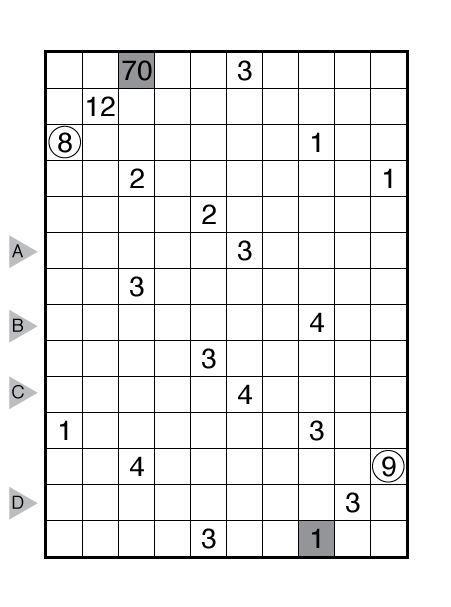 Author/Opus: This is the 198th puzzle from Thomas Snyder, aka Dr. Sudoku. 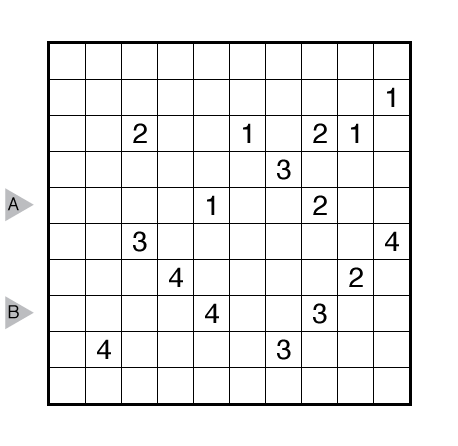 Rules: Divide this grid into 12 different pentominoes without any overlapping cells. 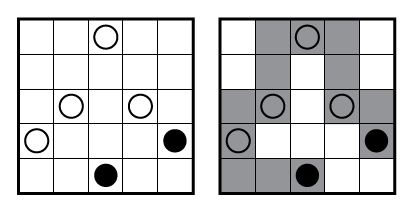 Pentominoes may be rotated or reflected. 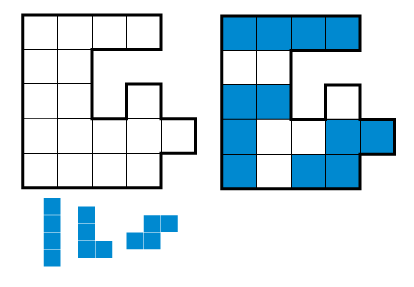 A cell with a letter in it must be part of the pentomino shape normally associated with that letter.